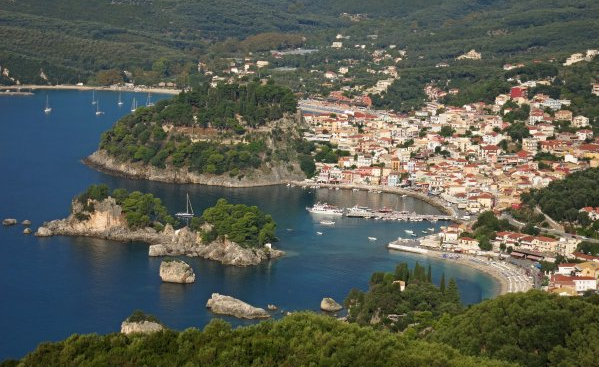 Parga in Greece is the most popular summer destination in Epirus. This small town is situated in a secluded bay of the Ionian Sea and has an intense island feeling. The colorful houses of Parga Greece are constructed amphitheatrically along the slopes of a mountain, offering an amazing view to the sea.